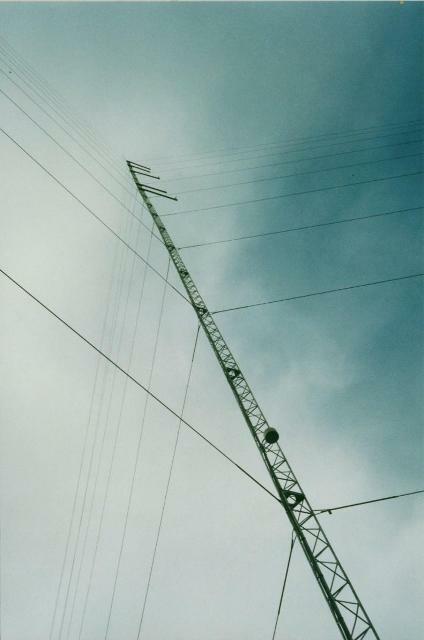 In mid 2003, we had installed a dedicated 50m guy wired mast at the highest point on the peninsula in Denmark. We had four anemometers, two weather vanes and a temperature gauge which gave us a healthy long term average. Two years later, the Shire of Denmark asked us to pull it down. We were able to get a 6 month extension, and so quickly installed some monitoring equipment on an existing 46m radio mast on Mt Barker Hill to get correlation between the two sites. Mt Barker Hill is higher than the hill on the sheep farm, and steeper. It is also 6 km away to the south. While dedicated wind industry software can do sophisticated wind flow calculations, it was a bridge too far and estimates of the output have proven too optimistic. It is still early days for Denmark, but it does appear that the wind is as expected. A snapshot of output in September, 2013, from the imo website, http://www.imowa.com.au/explore-the-market.